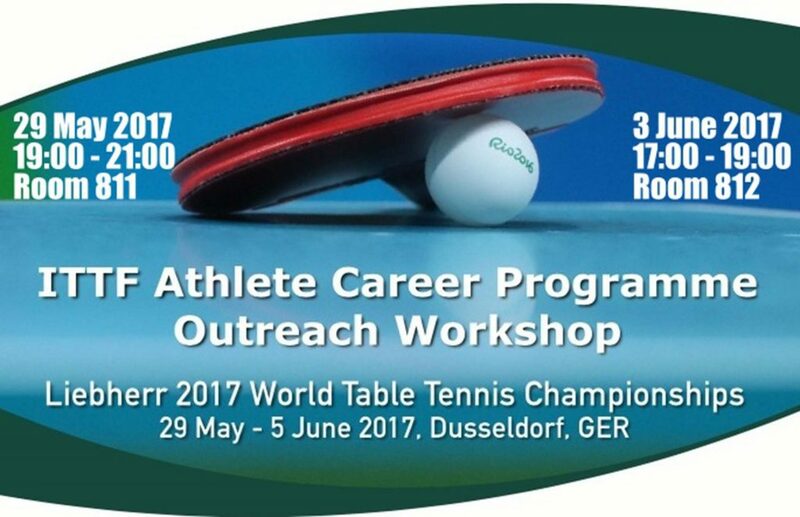 Alongside the International Olympic Committee (IOC), the International Table Tennis Federation will organise two Athlete Career Programme (ACP) workshops at the forthcoming Liebherr 2017 World Championships in Düsseldorf. Proposed dates are Monday 29th May and Saturday 3rd June. Administered in Düsseldorf by Daniela Gomes, the ITTF Development, Education and Training Projects Officer; the relatively new initiative aims to assist elite athletes adjust to a new career when top level playing days in their twilight years. Claudia Bokel, silver medallists in the Epée competition at the Athens 2004 when representing Germany will be present alongside well-known names in the sport of table tennis, of Croatia’s Zoran Primorac and Vladimir Samsonov of Belarus. Most certainly it is an opportunity not to be missed.